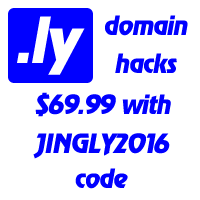 How cool is Brief.ly! I think that’s brilliant, great when sharing notes with groups. I will use that for sure. For instance, when I am discussing ideas for website designs I always email clients a list of example sites to look at, to see what they think and to ask for their feedback. I will just list them in Brief.ly now and then send them one link. That’s brilliant. I’m buzzing… estate agents… instead of sending me loads of urls they can just send me one and then all those chosen properties open in different windows? Pre planned. I have been using Brief.ly on my iPad. As its Internet browser (Safari) doesn’t have tabs, this is a big deal! I’m planning on setting up a Brief.ly page for all the different sites that I use for online TV … then I only have one url to go to browse through and multi tasking Internet in different windows… on iPad… this is another bonus. Thank you, this has huge… huge potential. P.S. Are you selling shares in Brief.ly enterprise too? Yes, I love it… very nice, with just one click my party guests can now see all my websites, videos, facebook group and profile. Thanks a lot! If you come to Barcelona I owe you drinks! I never realised how big my Internet footprint was before I tried to consolidate my online profiles on Name.ly. On one single page I was able to filter out things I wanted to share and those to keep private. Probably a bit ahead of the rest of the world, but they’ll catch up soon. Awesome! So much easier to keep track of them all now. Very interesting tool. Helps you keep all your multiple profiles on a myriad of networks in one place, have a central location for contact purposes, and general info about you. Also it is very versatile and customizable to what else you want to do with your page. I wish I was better at HTML/CSS to take full advantage of advanced features that this service has to offer.